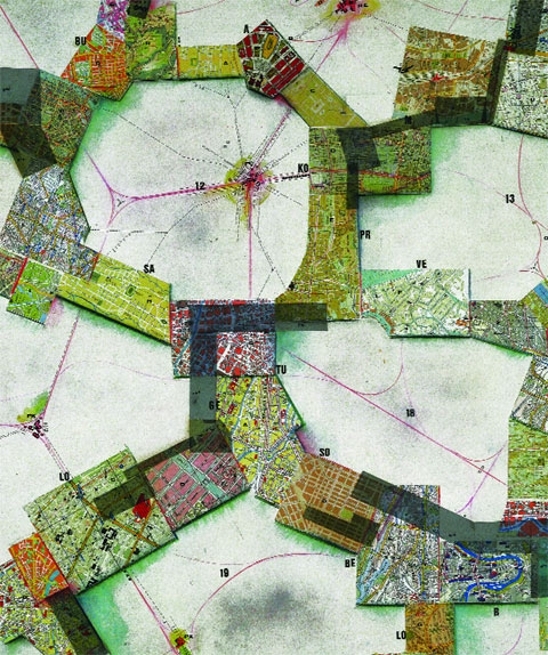 I have been influenced by the Dutch artist and architect Constant Nieuwenhuys, whose 18-year architectural project entitled New Babylon was first conceived under the auspices of the Situationist theory of “unitary urbanism”. Constant was a founding member of the avant-garde group the Situationist International. In 1957 he began working on New Babylon and continued its development until he was forced to concede that it would never be realized, eighteen years later. Constant defined unitary urbanism as a rethinking of the perceived order of the city and its structure. Rather than thinking of the city as a fractured system of individual parts, Constant conceived the city as an all-encompassing structure. New Babylon makes “use of already-known architectural parts in order to fabricate a new unknown” through the complex interactions of real and imagined structures, new urban forms emerge through the patterning of spaces. 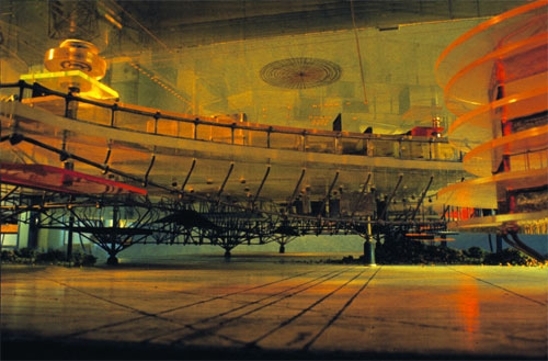 The impact of this dialogue on architectural discourse encouraged many contemporary and experimental groups of architects and artists to re-think and re-imagine how architecture could be discussed as a relational enterprise that both impacts and is influenced by the diverse forces of built and social environments. After looking at the High Line in New York I was reminded of Constant’s New Babylon. I have heard about the High Line but it wasn’t until I stumbled across DesignBoom’s blog that I saw the similarity in both projects. A city pathway above the city, a network where social and cultural exchange can occur in an almost unobstructed and unlimited way. Constant Nieuwenhuys,Symbolic Representation of New Babylon, 1969, collage on paper, 55×60”. Photo: Victor E. Nieuwenhuys. Constant Nieuwenhuys, Secteur Jaune (detail) (Yellow Sector), 1958, wood, metal, Plexiglas, 9×37 x 35”. Sanaa’s Rolex Learning Center also reminds me of New Babylon, on a smaller scale. It seems to be slightly hovering over the landscape. It is quite beautiful. When I first saw it, especially in the way it hovers over the landscape, it reminded me of Constant’s work a great deal.